The gardens in Paris are gorgeous and great for both adults and children. There are plenty of chairs to sit on, a playground, a snack bar and this particular garden has boats to rent for sailing on the pond. My kids really enjoyed this low-key activity and it was a nice rest from the hustle of the streets. Notre-Dame was a short walk across the Seine from our apartment, so we had to see it. While it is a pretty impressive structure from the outside, it is amazing on the inside. Breathtaking. Jaw-dropping. Even with all the tourists milling about making noise, there is a stillness and holiness that brought tears to my eyes. The soaring ceilings, stained glass windows, chapels, altars and art affected me deeply and I must go back again. I took photos, but photographs cannot capture the beauty of Notre-Dame. If you ever have a chance, please go see this beauty for yourself. We couldn’t come to Paris without going to the Louvre and so we did on Bastille Day—along with everyone else who decided to take advantage of the free admission for the holiday. But the line moved quickly and within 30 minutes we were inside one of the most famous art museums in the world. I knew it was large and that we wouldn’t be able to see much; I thought maybe we could see a whole wing. I was wrong. The Louvre is enormous; we were there for several hours and I think we saw a hallway or two; it’s that big. We did make a point of seeing the rock star herself, Mona Lisa. Despite the massive size of the museum, she was easy to find, we just followed the crowd. She graciously posed for photos and then sent us off to admire her renaissance peers. It is actually the one time in Paris that I felt a bit unsafe because there were just so many people at the Eiffel Tower. But we went right up to the structure, stood underneath and wowed. It’s impressive. I was glad we made ourselves go out after a long day of touring because the twinkling light show was magical. In retrospect we should not have gone to Versailles that day. We were up late the night before (all week really) and we were tired from 5 full days of touring Paris. 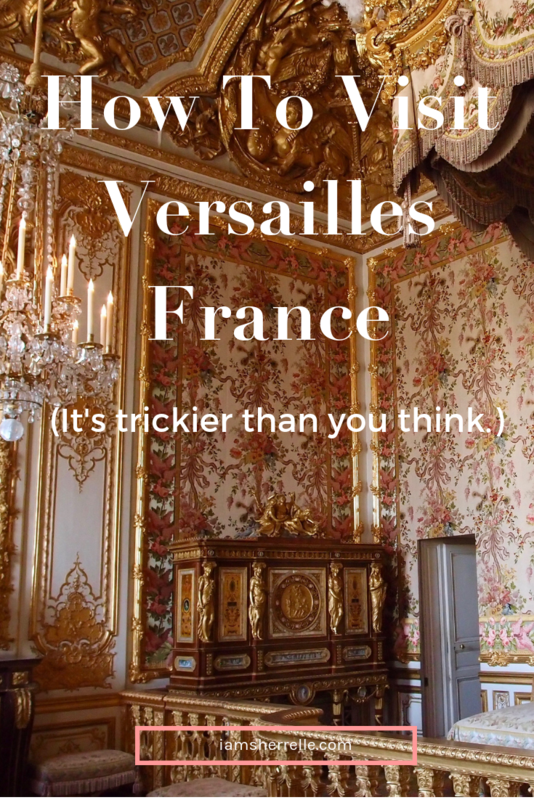 Versailles is big, really big. Really, really big. It is not the place to go if your feet already hurt before you get there. Cobblestone streets are not for tired feet. But it was our last day and if we wanted to see Versailles, it was do or die time. My husband really wanted us to go and so we did. We saw the chateau gardens (very lovely) and The Grand Trianon and Petit Trianon and some of Marie Antoinette’s estate. And grass and trees and more gardens. All lovely. We saw all of this by walking, walking, WALKING all the day. At one point my son refused to go any further and just sat down. It’s a lovely place, gorgeous! And it was beautifully sunny day, perfect for walking and exploring the extensive grounds—but not for people who were on their last day of a 12 day high energy trip. By the end of the day I was calling my husband Clark Griswold from National Lampoon’s Vacation; he brought his family all the way to France and we were going to see Versailles, dammit! This is taken from the steps of the chateau. See the horizon? That’s how far we walked – and back. We finally toured the chateau and it was amazing. In the end I’m glad Clark Griswold my husband insisted we see Versailles, even if it nearly killed us. *Read about the rest of our Paris vacation and our London adventures too. Great advice! I’ve been to Paris but not Versailles. 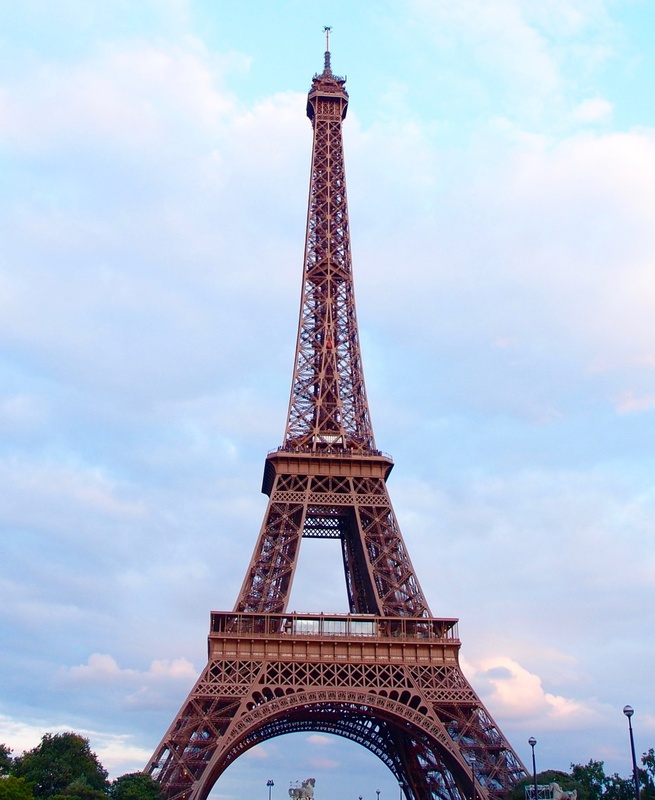 I am hoping to go to Paris with my sisters sometime soon (read your “Paris with Girlfriends” post first), and I wouldn’t be surprised if the palace ends up on our itinerary. You video rant was great – practical. Thanks! Yes, please go to Versailles during your next trip to Paris. It’s gorgeous and worth the trip, but wear very good walking shoes (or better yet, rent bikes or a golf cart) and bring your sense of humor and patience. And get on the right train! I’m being honest when I tell you that Paris has never had much of a draw to me. Other parts of Europe, yes. But Paris? Not so much. But after seeing your photos, I’m definitely wavering. Gorgeous. And your video cracked me up. I would be the same way to my husband. 🙂 It was so nice to hear your voice, too! Notre-Dame…..if you go to Paris just to see Notre-Dame and eat macarons, I promise it will be worth the trip! Wow always wanted to visit Paris! One day soon! Paris would love you Tami!